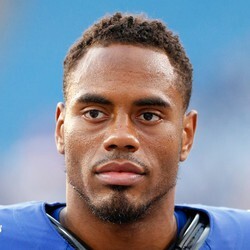 Rashad Jennings to play in 2017? Jennings, who was released by the New York Giants earlier in the offseason, is still expected to sign with a club before the start of the 2017 season despite remaining an unsigned free agent. Coming off of a 2016 season in which he only accumulated 794 total yards and four touchdowns, his worst season since 2012, Jennings may have to wait until the injury bugs bites a team's running back position before he is signed, if at all.